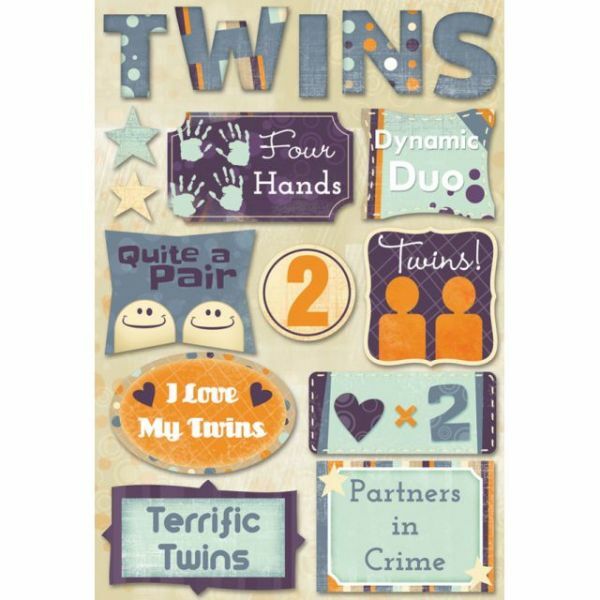 Cardstock Stickers - KAREN FOSTER DESIGNS-Cardstock Stickers: Terrific Twins. 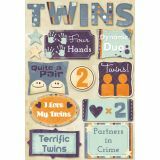 This package contains a 9x5-1/2 sheet of acid and lignin free, archival high quality stickers perfect for scrapbooks, greeting cards and all paper craft projects. 16 total stickers. Made in USA.